ElectronicRepairGuide (ERG) - How long have you been in the Electronic Repair line? ERG- What is your education background? David- I graduated from Singapore Polytechnic as a Diploma holder in Electrical and Electronic course and have a certificate City & Guilds of London (C & G) in Radio Servicing. I started to work after I got my Diploma and the year was 1973. 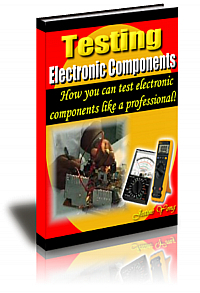 ERG- Does the courses help you in Electronic repair? David- Yes definitely, the C&G course has helped me a lot in electronic repair. ERG- Have you conduct any electronic repair courses before? And what is the name of the courses? 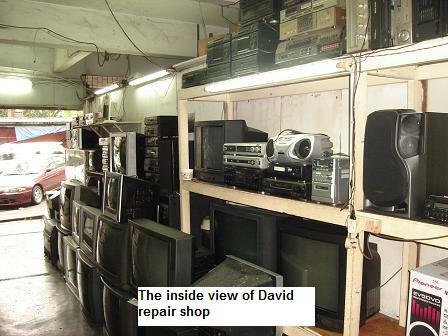 David- Yes, it was the TV and Audio repair courses. 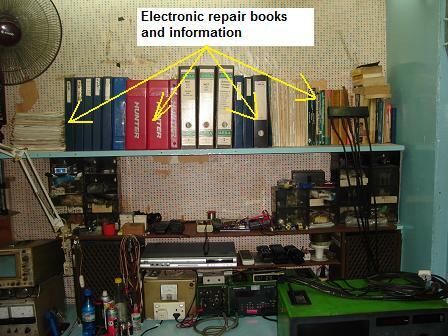 ERG- What are the Electronic Equipment that you repair? 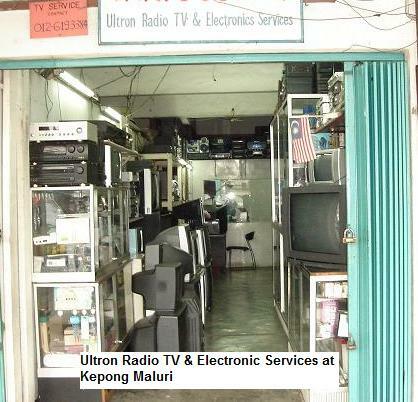 David- Television, Radio, Video Camera, LVD, VCR, Hi Fi, DVD, VCD, Car Stereo, Installing Antenna and Home Electrical appliances. ERG- Which type of Electronic Equipment you consider yourself expert in? 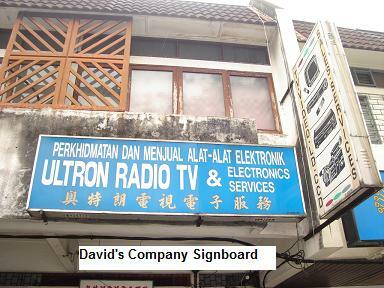 David- Television and car audio equipment! I worked for Bosch Company for many years and every year the company sent me to Germany for training in repairing Blaupunkt car audio. I’m considered a specialist in repairing car audio equipment. ERG- Do you often use oscilloscope in electronic troubleshooting? ERG- Do you still enjoy reading electronic related books when you have free time? David- I used to buy electronic magazine but lately I’m more toward the computer information especially learning the software programming. ERG- Generally on average how many type of electronic equipment you can repair in a day? David- Difficult to say, sometimes you could repair more than 10 items a day while in certain days you can only managed to repair few. It depends on the problem and what type of equipment you are repairing. I put it as average 5 per day. ERG- What type of TV size you received the most for repair currently? ERG- How is your repair business nowadays? ERG- What causes the repair business to go slow nowadays? David- First, the price of new equipment had gone down tremendously and people choose to get new one which is cheaper and convenient (no need to wait for repair-save time). Second, most houses nowadays have more than one Television at home, if one have problem they will choose to use the other working one and dump the spoilt one beside. I have seen with my own eyes those houses that I have been, the TV just lie around and yet the owner don’t want to repair it. Some customers sent the equipment for me to repair but after I have repaired it, they don’t want to collect it back. I have called them many times and after 3 month if they still don’t collect back their equipment I will dispose it. I have disposed lots of electronic equipment. This problem also has affected my time and income. ERG- How do you want to encounter this kind of problem of slow business? 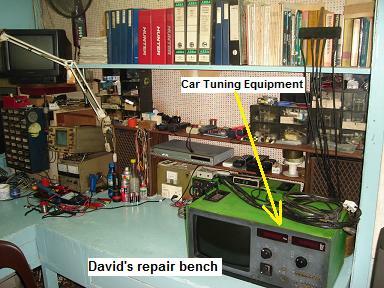 David- Diversification- I have diversified into repairing automobile equipment. I got a deal in repairing Bosch car tuning equipment. The Bosch Company supplied me with parts and schematic diagrams and they even allowed me to deal with the head quarter in Germany directly in requesting information that related to the car tuning equipment. ERG- Is there a good margin in repairing the Bosch car tuning equipment? 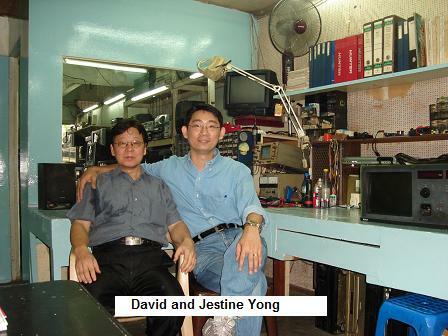 David-The profit margin is very good but the quantity is less compare to repairing other electronic equipment. ERG- Do you encourage electronic repairers to diversify into repairing more electronic equipment-If yes then why? 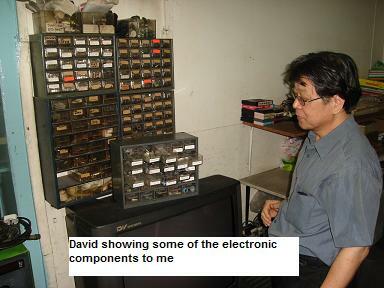 David- Yes, I do encourage electronic repairers to diversify into repairing other electronic equipment. You see, TV repair business is still the best but because we can’t predict what would happen to this trade in the future we must diversify in order to continue to make profit from this electronic repair trade. ERG- Do you meet regularly with other electronic repairers to discuss about electronic problems and solutions? David- Yes we do meet but not very often. I have electronic repair friends from Toshiba, Sharp, Philips, Bosch and etc and when we meet I do discuss about problems in electronic troubleshooting with them. ERG- What are the biggest problems you are facing in the Electronic repair business nowadays? David- Shortage of latest electronic equipment schematic diagrams and spare parts! ERG- Have you come across any electronic equipment that you can’t repair? And how do you solve it? David-Not very often and if I really come across problem that I cannot solved, I will send it to the distributors (agents) for repair but of course the customers first have to agree with the price that I have quoted them. ERG- How do you promote your repair business? ERG- Do you have any tips for anyone who wants or plan to set up their own Electronic repair shop? David- At this moment it could be difficult, it’s not easy compare to last time. You can’t survive depending on TV alone! 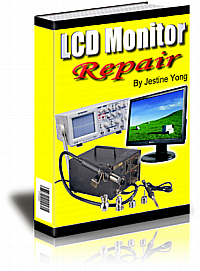 Get more contract jobs and prepare yourself to repair more variety of electronic equipment. Anyway it is just my opinion, you may go ahead to set up one if you wish to. ERG-What advice would you give to a beginner who wish to join this trade? David- They must be good in basic electronics and is a must to have electrical knowledge. ERG- What advice would you give to an experienced or professional electronic repairers? David- Upgrade your knowledge. I myself already taking the computer study to learn about software programming. ERG- Did you make mistakes that others could learn from? David- Don’t charge customers too high the repair price but reasonable. ERG- What is your future plan for your electronic repair business? David- I will be concentrating in repairing the automobile tuning machine (higher margin) and at the same time hoping to get new contract in repairing Blaupunkt car audio equipment-still negotiating! From the interview above i believe you would have get some points about electronic repair in this current situation where lots of cheap electronic equipment flooding the market and cause many customers opt not to repair their equipment. This interview was not meant to let you down but to explain what are the necessary steps you need to make or take in order for you to stay in the repair business. Always think of diversification and open up your mind to find more opportunity rather than just relying on repairing one item. Think of a way to minimise cost and always look out for new customers. I know that it is not easy to do such thing but it is better than just wait in the repair shop and wait for things to improved itself. Be the person to make things happen and not the one who wait for things to happen. Take care of yourself and have a good and blessed day ahead!